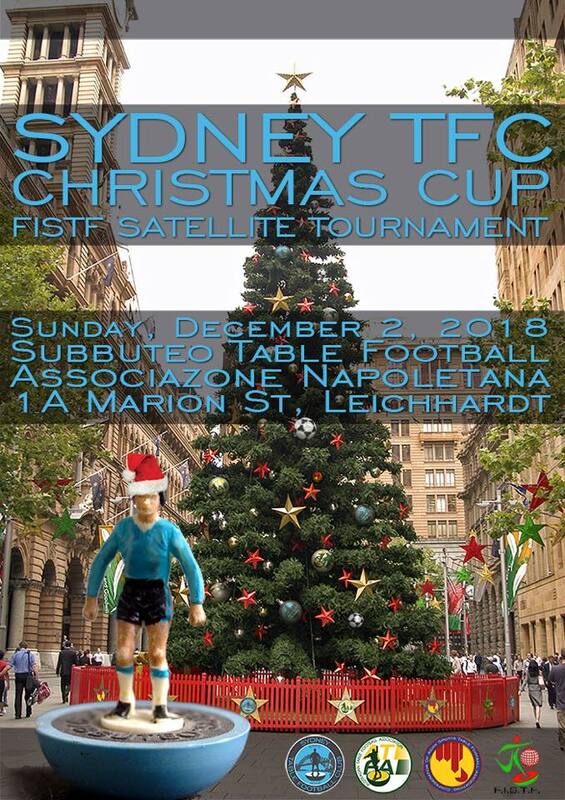 The Sydney TFC was inaugurated in 2016 by holding the Christmas Cup as a WASPA Tournament. 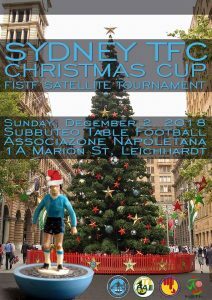 This year, the tournament has been upgraded to a FISTF Satellite and will be the perfect warm up event for the Australian Grand Prix in the new year. Register below to be part of the tournament.